"The world was marked by disasters, and I withdrew to a remote cave. I found nothing there but anger and despair". Out of the blue. (BP005) was recorded live in our studio on May 18-20, 2007. Tomas Walter (lead vocals, guitar, harmonica, short wave radio), Niklas Carlsson (bass, guitar), Johan Carlsson (drums, percussion, beats), Anders Ramsell (saxophone, guitar), Per Hillblom (synthesizer). 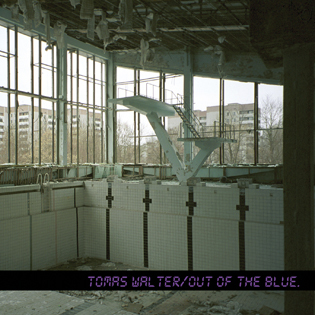 The photo on the album cover is taken in Pripyat, just outside of Chernobyl, and used by courtesy of Elena Filatova (www.elenafilatova.com).